essentially throw in a raw egg or two to the ground beef (about a pound)and some Italian bread crumbs (progresso is what I usually use) salt, pepper. Squish it all up with your hands so that it is well mixed and holds together. 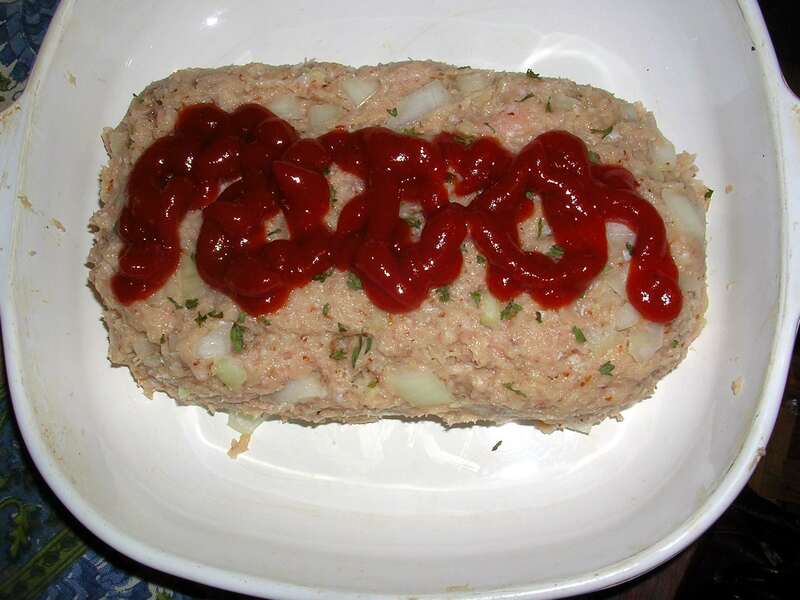 Shape it into a loaf and put into a baking dish, squeeze some ketchup on the top ( I usually do a fat stripe) and there you have it! Oh, don’t forget to chop some onion up and put that in too. Um. Okay. How many eggs? About a pound? Some breadcrumbs? What does that mean exactly? Anyway. I decided to experiment to attempt to actually quantify her recipe while also making it gluten/grain free. In the place of the Italian breadcrumbs, I used some almond meal and garlic powder, which gave it the flavor that I remember from days of yore. 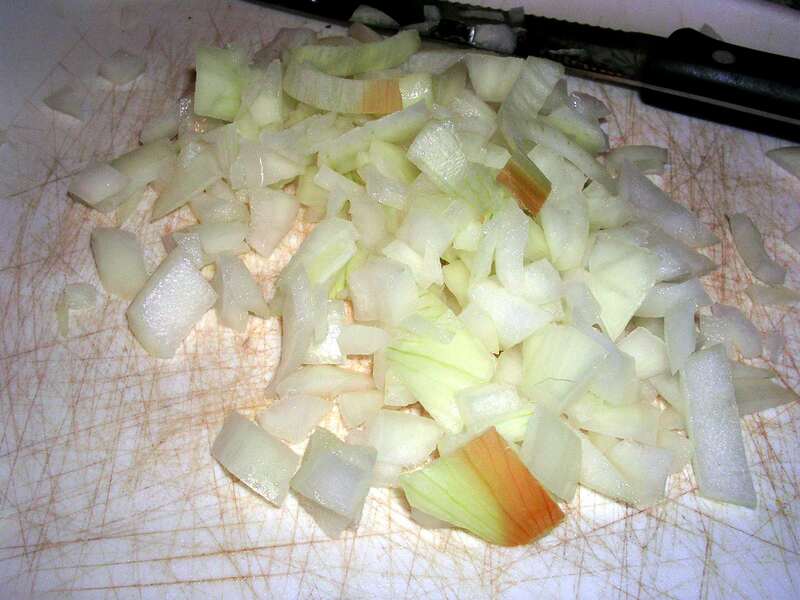 First, I chopped the onions. 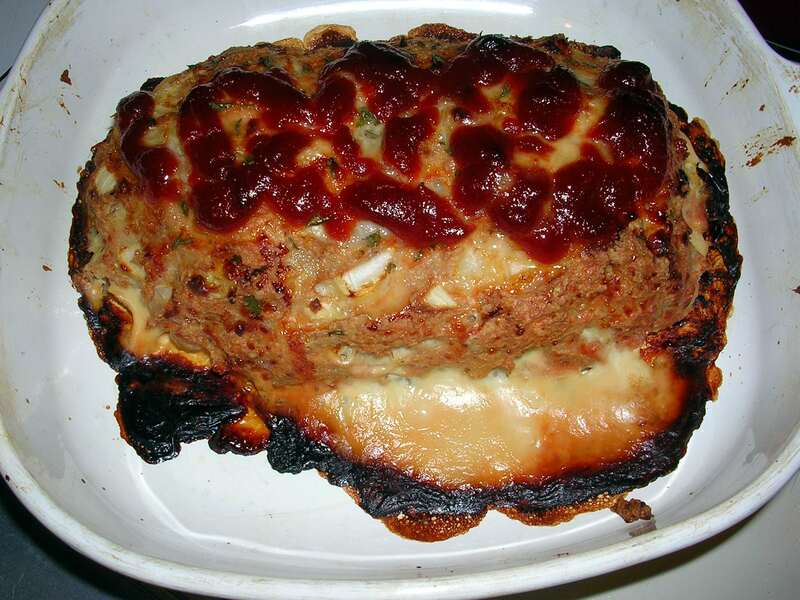 I didn’t try too hard, because I like chunks of onion in my meatloaf. Then, I mixed everything together in a bowl and squished it around with my hands to make sure it was thoroughly mixed. I formed it into a loaf and placed in a pyrex baking dish. I topped with ketchup and put it in the oven at 400 degrees for an hour. 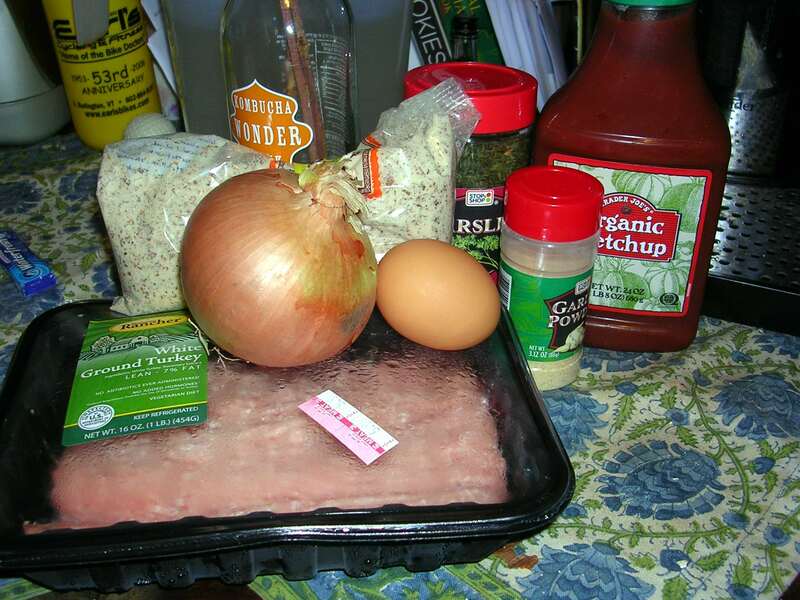 The kitchen smelled like hot ketchup and onions, which is exactly what I used to smell when my mama made meatloaf. The end result was pretty darn close to what I remember. I’m not sure what that white leakage is…but I ignored it and dug in. 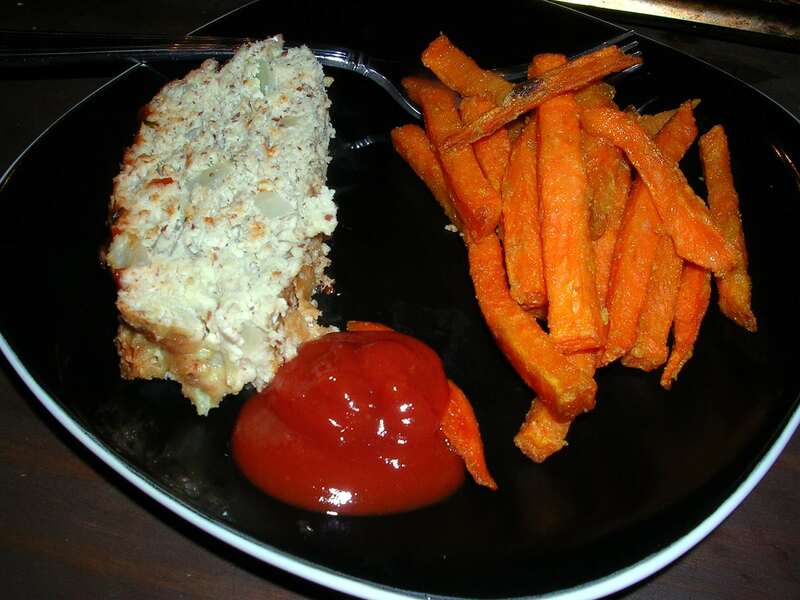 I find it’s best with lots of ketchup and sweet potato fries! Thanks for stopping by my blog!! How do you like IIN? are you doing the distance learning program as well? Yes, I’m doing the distance learning program. I really like IIN so far– it is what you make it, I guess. I look forward to trying the healthy version- looks great! hahah- the best recipes usually aren’t written down 😉 Great work on the recreation. I bet some BBQ on top vs. the ketchup would be awesome.